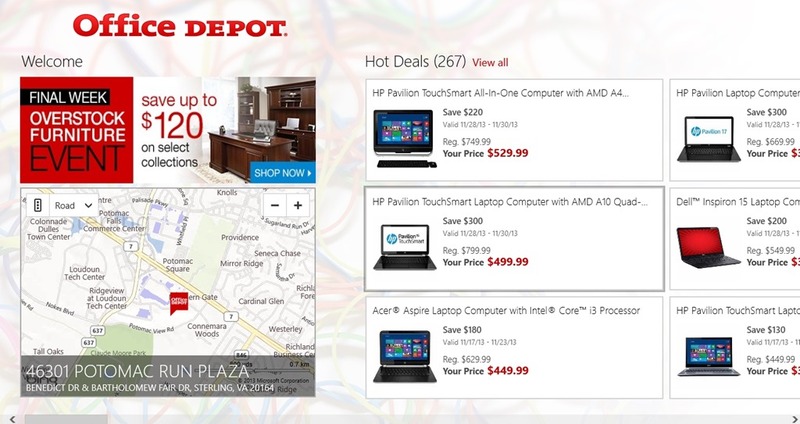 Office Depot is a free Windows 8 App for Office Depot. You can use it to find shopping deals and buy products that are mainly used in offices. Products like Laptops, Printers, Tablets, and other products which are useful in offices are available here. You can see for shopping deals on office products or accessories just by providing the Zip code of the place. 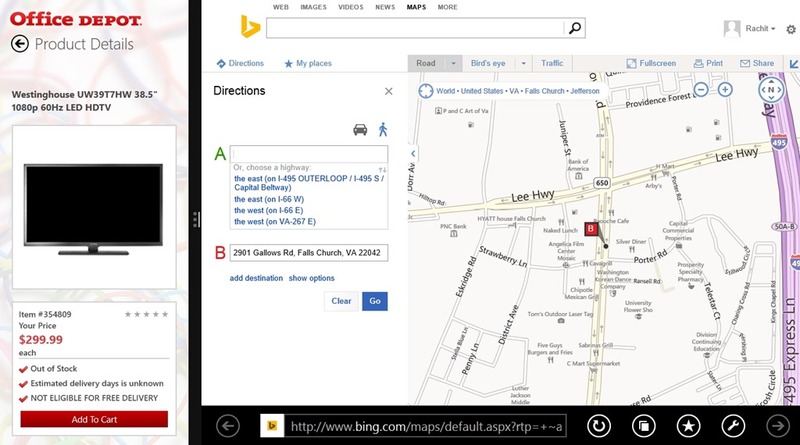 Also you can use the inbuilt maps to locate the places and get directions to them. In addition to that, this app also allows search for any particular product by using Windows 8 Search Charm. You also have the ability to share any deal online using the Windows 8 Share Charm. 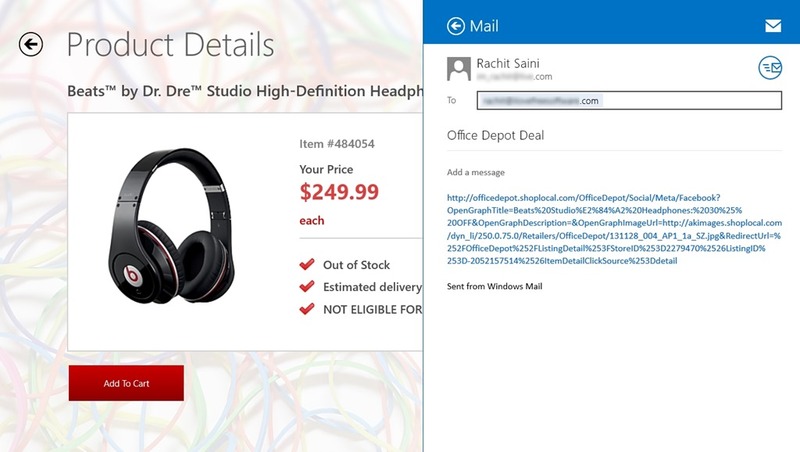 Office Depot is freely available in the Shopping category of the Windows Store. As you land into this app for the first time, it would ask you to supply the location for which you want to get deals for. For that, you would have to input the five digit ZIP code there. For the option of changing the location in this Windows 8 Shopping, go to the Windows 8 Settings Charm. After that choose another store from the appearing stores, or use the red colored option and it will open up a panel on the right side where you can provide the Zip Code for the area where you want to search from. After you have supplied the ZIP code, this Windows 8 Shopping App will show you all the products, categorized as Hot Deals, Office Supplies, Paper Technology, and other categories. When you choose to view any particular product in this Windows 8 Shopping App, the app will give you a good description about the product. On this page of this app, the option to buy the product would also be present. If you like the product, you can buy it from here. 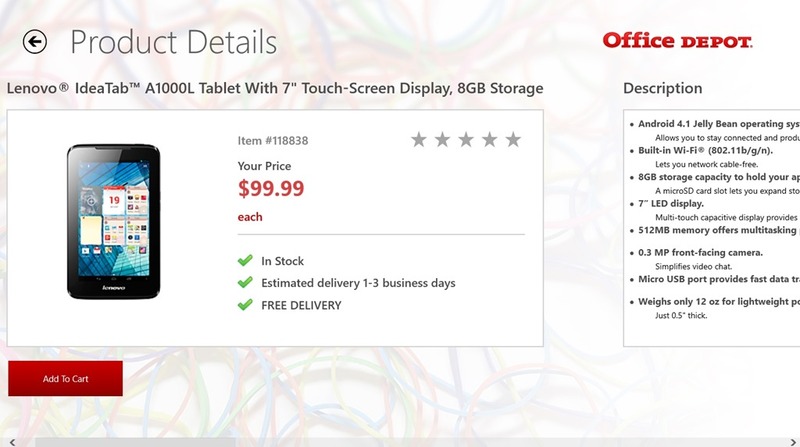 This Windows 8 Office Depot app will then open up the buying page for you in the Windows 8 IE app, that is present on your system by default. In addition to this, Office Depot also gives you the option to view the location and get directions to the store having that product. For that also, the Windows 8 Setting Charm has Get Directions option available. 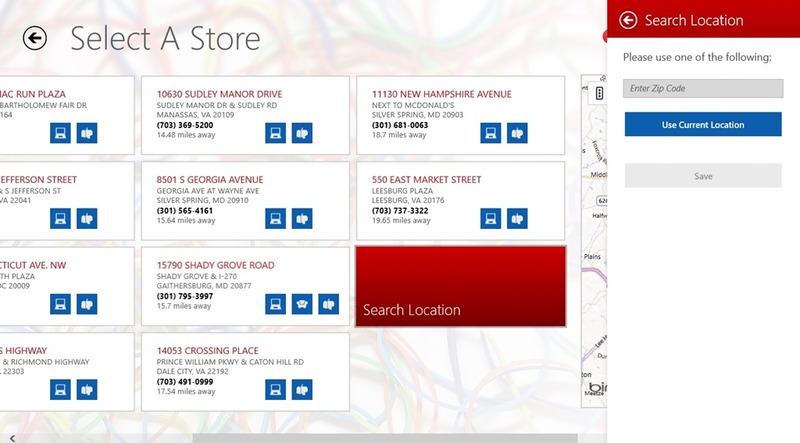 Office Depot will then give you directions to that store using maps, which it opens using the Windows 8 IE app. In addition to this all, this app also uses the Windows 8 Share charm, so that can share what you find, with others over the internet. This app is freely available in the Windows Store. Nice Interface and easy to work with. Includes Maps so as to get to the stores easily. Good description about the product. According to my experience with this app, it is quite nice. All the functions work nicely. All in all, it is a good app. Try it for sure. Don’t forget to share your experience with us.